The Hampton office building was purchased and renovated in 1992 as a satellite clinic for the Columbia Hospital Corporation in conjunction with Sycamore Shoals Hospital. Dr. Arnold Hopland served as the medical director and nurse practitioner supervisor. 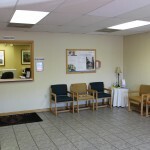 In 1997, Medical Care, PLLC took over the facility and opened Medical Care – Hampton. The Hampton office was renovated in 2006 to add 6 exam rooms, a handicap bathroom, and lab area. The Hampton office has nine exam rooms, three bathrooms, one waiting area, and is located on Hwy 437 (Hwy 321) across from the Hampton Elementary School and Carter County Rescue Squad.